From a full service to providing you with a DIY roadmap, we have a method to suit almost any budget and any need. Most of our clients opt for the full service. This means you can be hands off whilst we are very much hands on with every element needed to make your website rank. From the initial research to the implementation of on-page and off-page elements, we have you covered. If your budget won’t stretch to a full service or if you simply want a website refresh with all the on-page elements implemented then we can help. This alone might not be enough to get you to the top of the search results but it will put you on a level playing field. We understand that some companies prefer to keep their digital marketing in-house. In-house marketers can often be isolated and feel the need to bounce ideas around or could be looking for help with strategy – our consultation service is ideal for this. For companies on a super tight budget or for those who have the time or willingness to implement search engine optimisation themselves, our SEO roadmap is perfect. For a one-off fee it offers an A-Z of on-page elements that are either lacking, badly optimised or in need of some work. For businesses looking for the best of both worlds we offer a PPC management and SEO service combined as one package. This allows you to keep your PPC management costs down and also means you have an all in one approach to your digital marketing while getting the best of both. We have a full online training course that we occasionally open up publicly. We also offer 1-2-1 training via Skype or face to face if required. This training can be tailored to suit the individual needs of the company and can be delivered through your own online portal if required. There are many SEO companies in Birmingham, so why choose Rise Online? We believe that we offer a market leading service at the most competitive price. That’s not to say we offer a cheap service and it is often the case that a fully managed project does not fit the budget of all local or national businesses – however, we do have the flexibility to find an investment level that suits many businesses that are looking to grow along with a project timescale that suits them. We have a successful track record of supporting small and medium sized businesses (even some much larger ones) to attain rapid organic growth through our search marketing services. Not only do we provide an excellent service for our clients that produces actual results, we help our clients to understand the successes of a project and also to identify new opportunities. We do all of this with absolute transparency and within a friendly and approachable culture. In short, our philosophy is that when we work with a client, we treat their business as if it were our own. 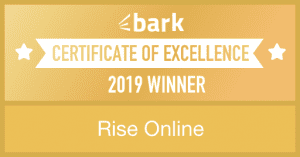 Rise Online is an SEO company in Birmingham that employs expert digital marketing strategies to help your business grow online. With a proven track record and customer satisfaction that is second to none, you will soon learn what sets Rise Online apart from the rest and why we position ourselves as the number one Birmingham SEO experts. Search Engine Optimisation (SEO) which is also often referred to as Search Engine Marketing (SEM) is the process of optimising a website to rank at the top of major search engines – including but not limited to Google, Bing, Yahoo and YouTube. Stage one with a new client is the discovery phase. This typically takes place prior to services commencing and starts with our discovery form. At this stage we find out as much as we can about your company so that we can provide a service that meets your needs and expectations. Once we know everything we need to know about your company we start the analysis phase. This will provide us with a detailed insight in to your website and that of your competitors. It will also allow us to delve in to the search behaviours of your potential customers and will allow us to unlock new customer streams. Once we have agreed on the right digital marketing strategy for your business we set to work on helping you rise to the top of the organic search results for the agreed keyword clusters. This is measured every step of the way and you will be provided with detailed analytics of the progress made. Will SEO benefit my business? The first question you are probably asking yourself is whether search engine optimisation will benefit your business. The answer to this is almost always yes but that doesn’t necessarily mean you should employ a search marketing agency. At Rise Online, the first step we take when discussing a potential new project is to understand the business – this starts with our discovery form and ends with a free personalised video analysis that is designed to audit your website, that of your competition and to analyse the demand for your service/product through search engines – in other words, how many people are searching for what you offer. Each business will have a different goal for a campaign, however most businesses will be looking for a positive return on investment. We help you understand the potential return on investment and if we don’t feel that we can provide it then we will tell you and suggest an alternative form of marketing. Do you outsource aspects of the work? At Rise, we have over 10 years of digital marketing experience. All of our services are provided in-house and we don’t outsource a single aspect of our work. As someone who is looking for SEO you will have realised there are many options – even just in the same city. Unfortunately, not all agencies and individuals provide a transparent approach or employ appropriate tactics when it comes to ranking websites. The number one reason that we run everything in-house is so that we can be 100% sure that there is no risk to your business website. To aid with transparency we also offer full access to our online training course for all our clients – we believe in educating our clients, not keeping them in the dark about what we do. How can I be confident I won't be wasting my money? We only work with businesses that we are confident SEO and/or our other digital marketing services will make a difference to. The discovery phase (prior to a project starting) is all about finding out about each other and gives us the opportunity to assess whether or not we can generate a good return on investment for your business. This stage also provides you with an opportunity to see how we work and communicate – and you can step away at any poin – no hard feelings. We encourage our potential new clients to read as many reviews about our work as possible – from Facebook, Google, Bark, LinkedIn and so on. We also provide case studies of our recent projects so you can see examples of the impact of our work. We are proud of the impact our work has on the businesses we work with – our reputation is of paramount importance and we will never compromise on delivering a quality service. Whether it is search engine optimisation of your business website, social media management, good quality copy, conversion optimised videos or even pay per click ads – your online presence is the gateway to your business growth. Find out which of our services will benefit you the most. Discover how we can help you RISE. Stage one starts with discovery. When you complete our discovery form you will provide us with the perfect insight in to your business – this will allow us to provide you with a valuable video analysis of your current website and that of your competitors.